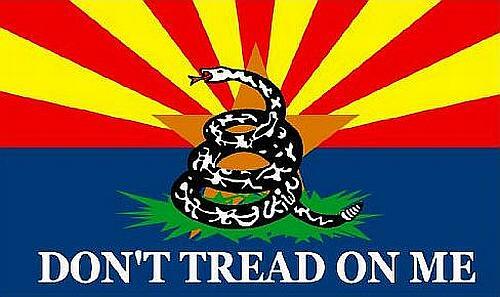 Last October, I posted about Arizona Still Number One for Gun Owners. 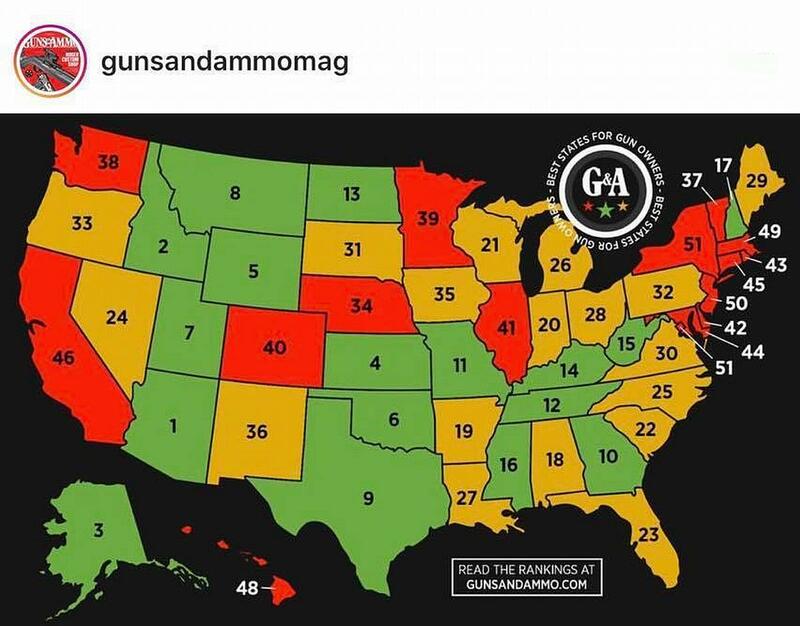 Since then, Guns and Ammo, who prepared the ratings, posted a graphical map of the US showing the states rankings. That is the image on the left above. Click on the image to enlarge. ▶ Miscellaneous issues such as constitutional protections, preemption, restrictions on gun or ammo purchases, CCW reciprocity, availability of places to shoot, etc. 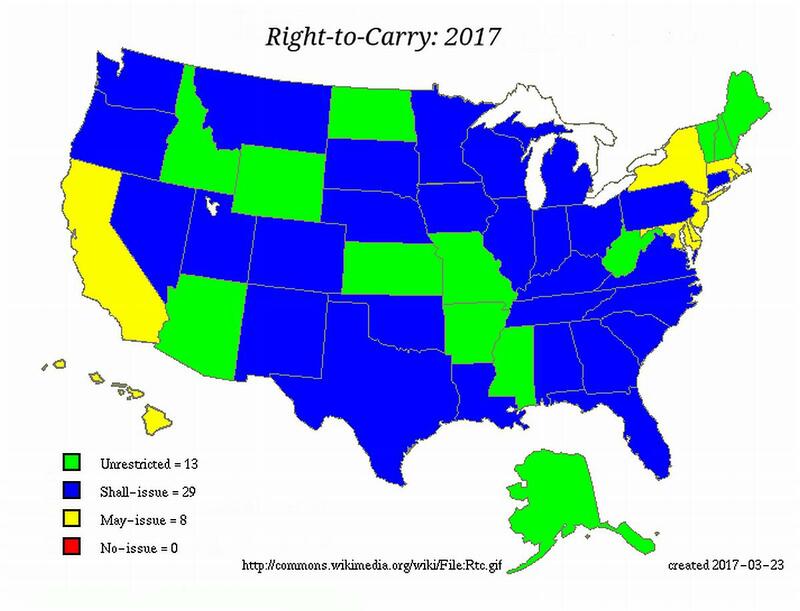 I also found a still from an animated graphic that shows an updated status through 2017 of Right to Carry for each state. As of 2017, when the image was produced, there were 13 states with Constitutional Carry. Click on the image to enlarge. It disturbs us a bit, that some of the states through which we will be going next spring, have poor rankings. Even though we have CCW recognition in Colorado and New Mexico, we will just have to be extra cautious when we are in those places.